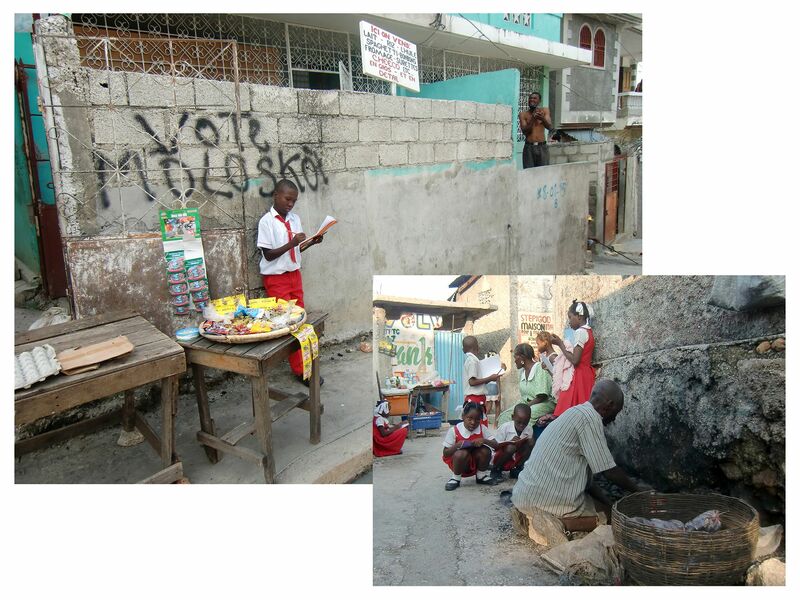 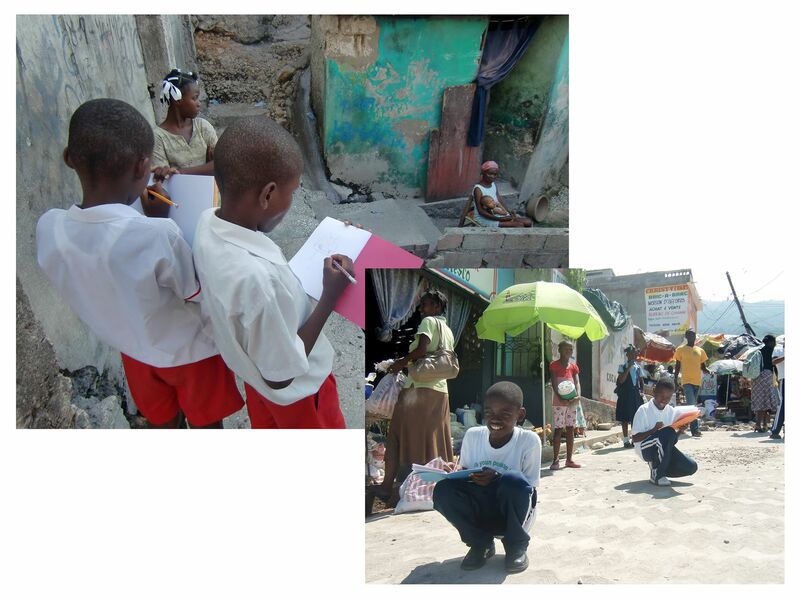 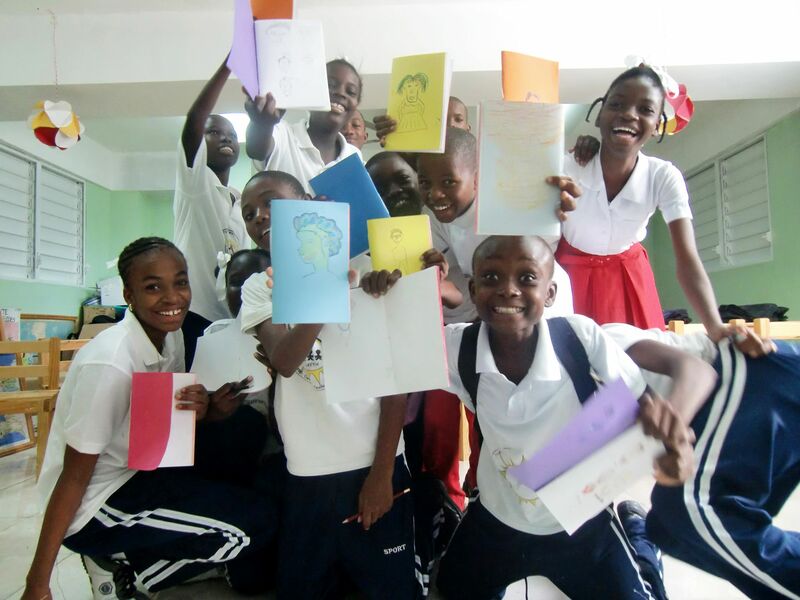 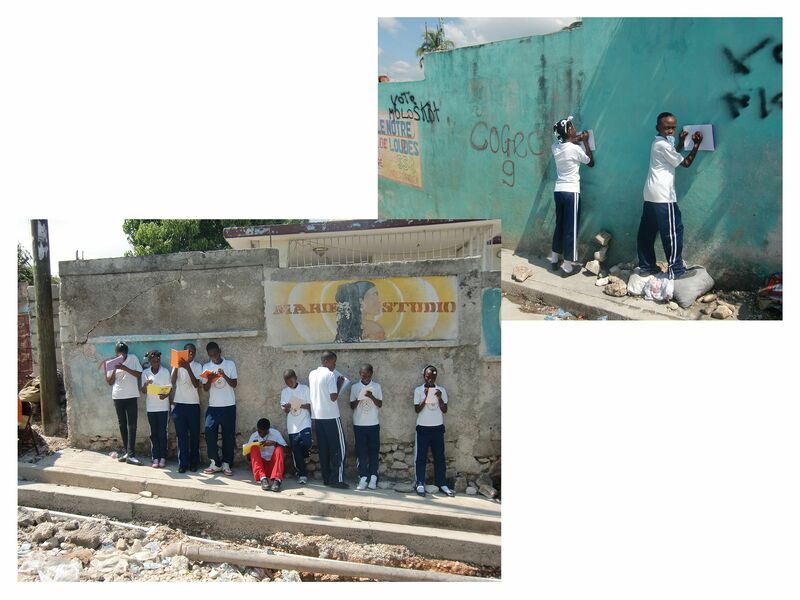 For a period of three months I was holding drawing workshops for children and teenager of a school in a slum of Port-au-Prince. 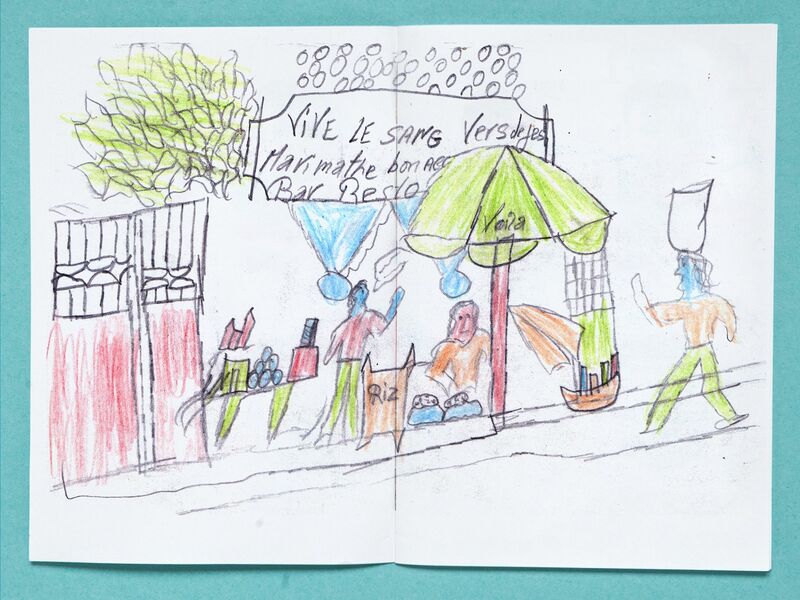 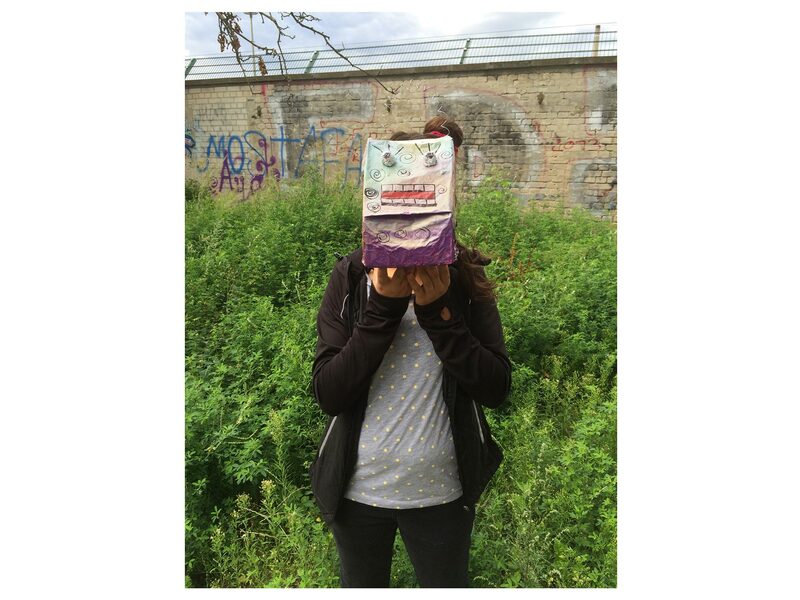 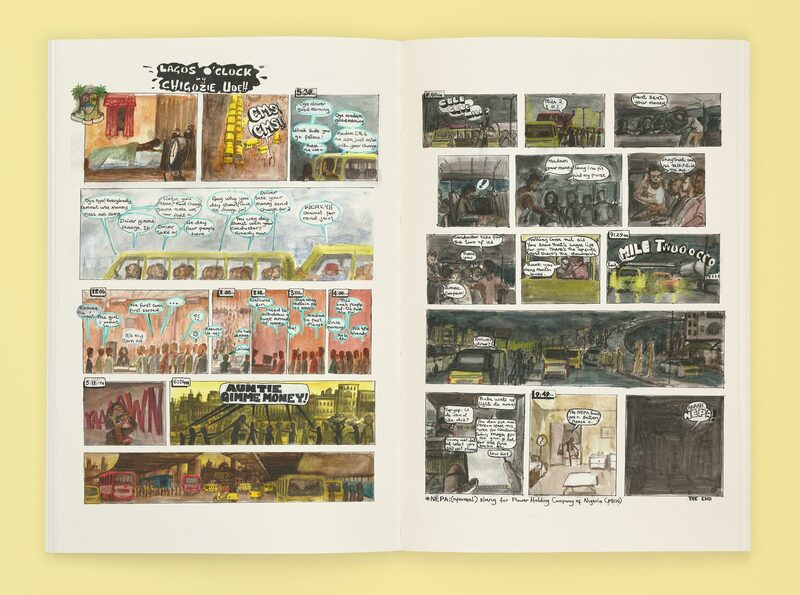 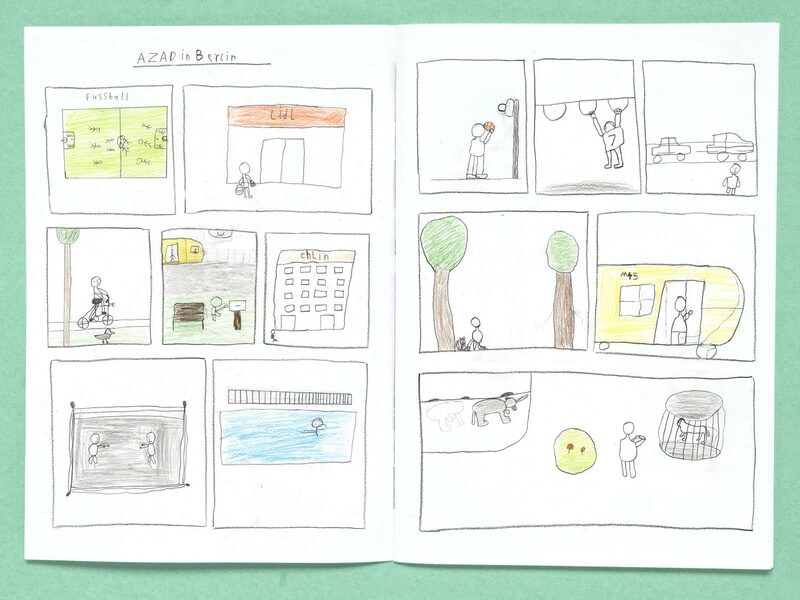 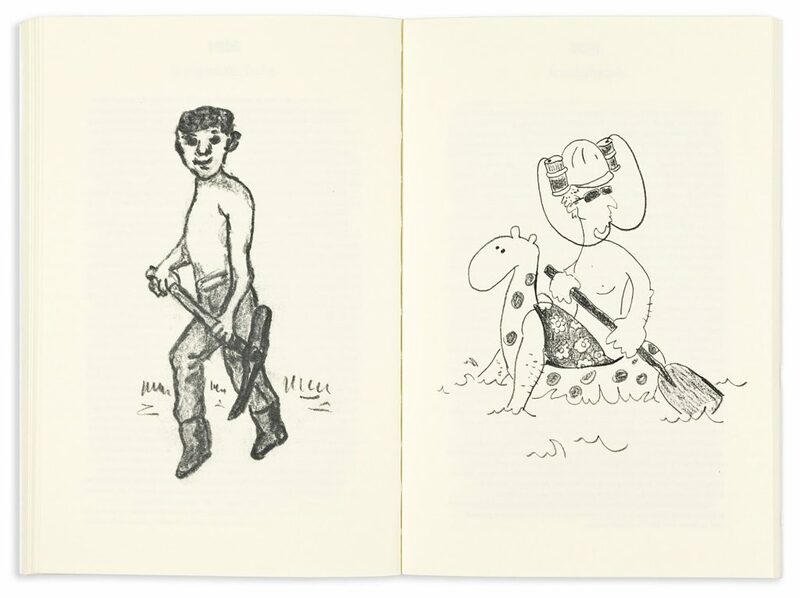 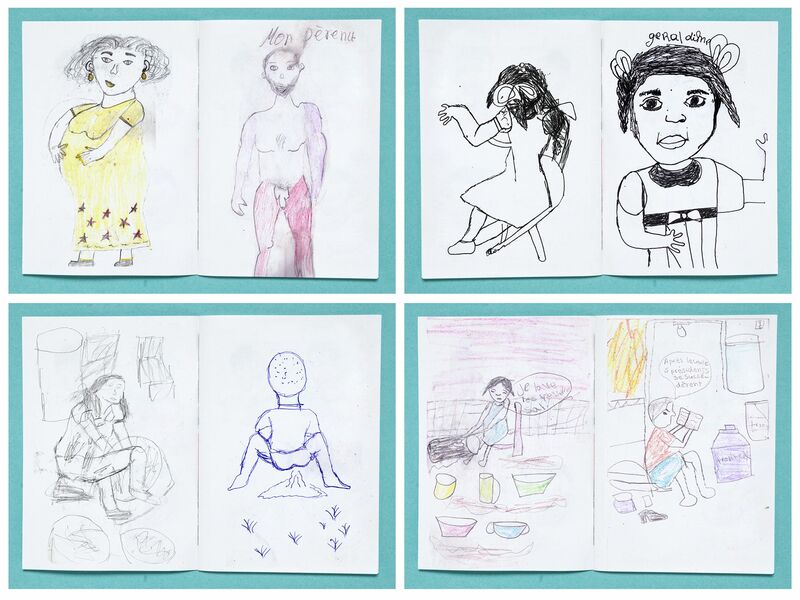 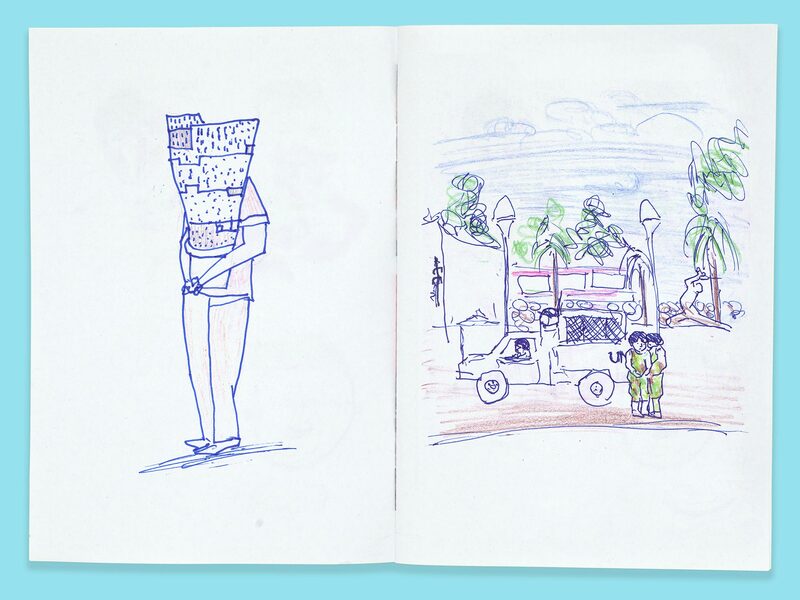 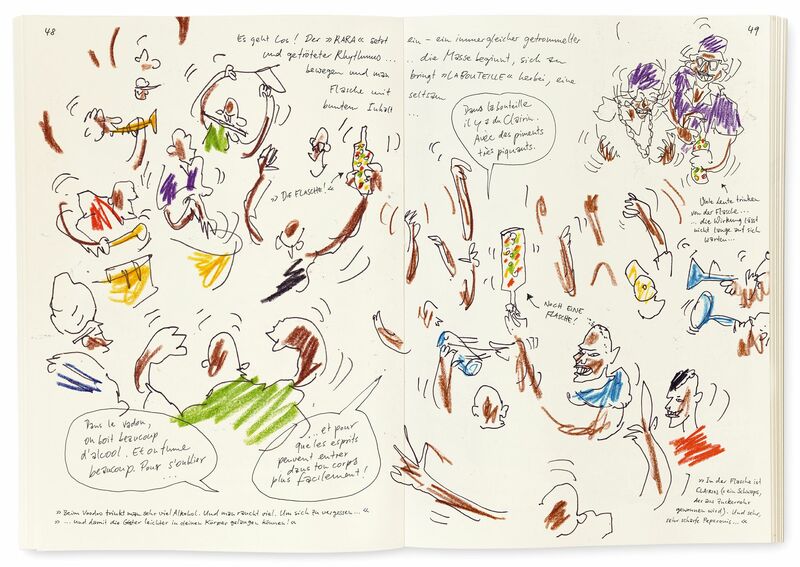 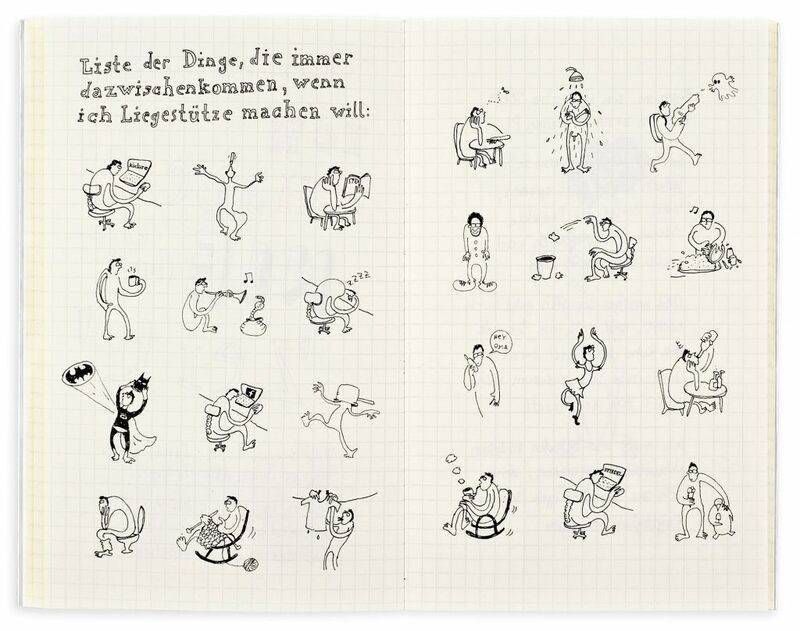 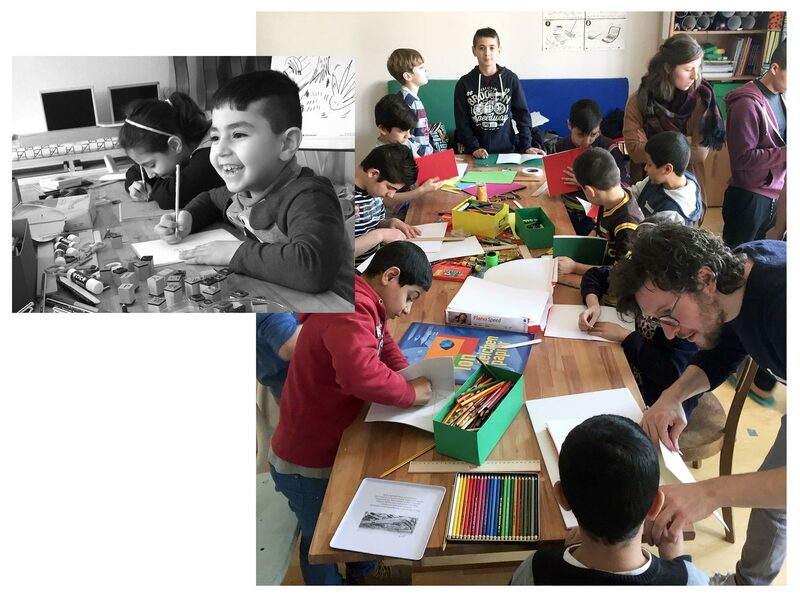 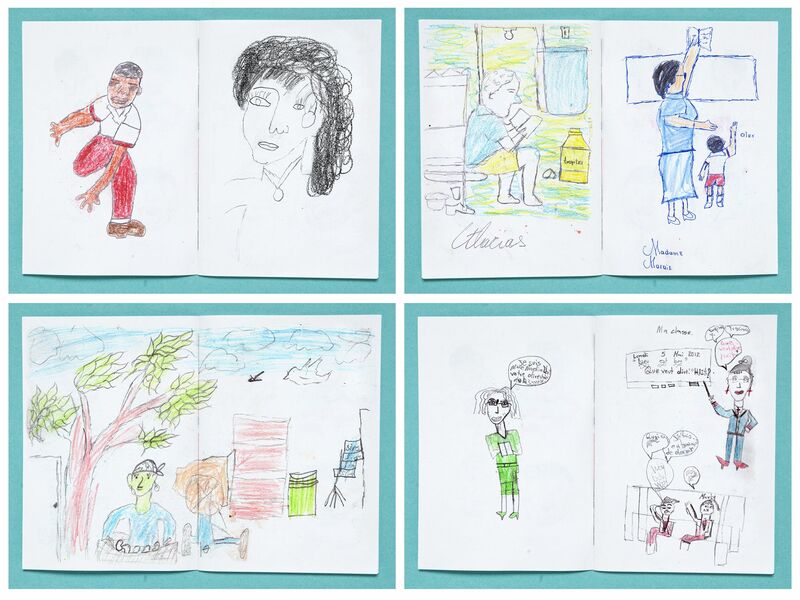 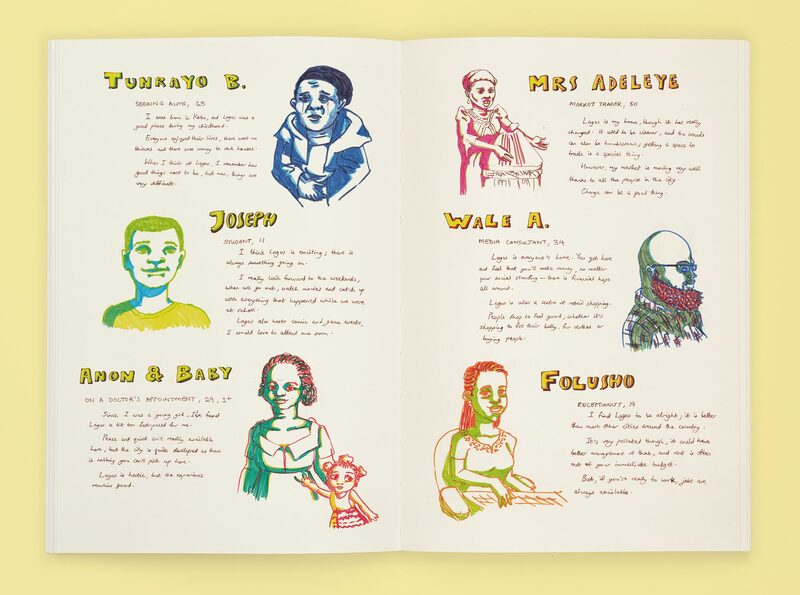 The pupils explored the streets of their neighborhood with self-made sketchbooks and captured its people and everyday life in numerous drawings. 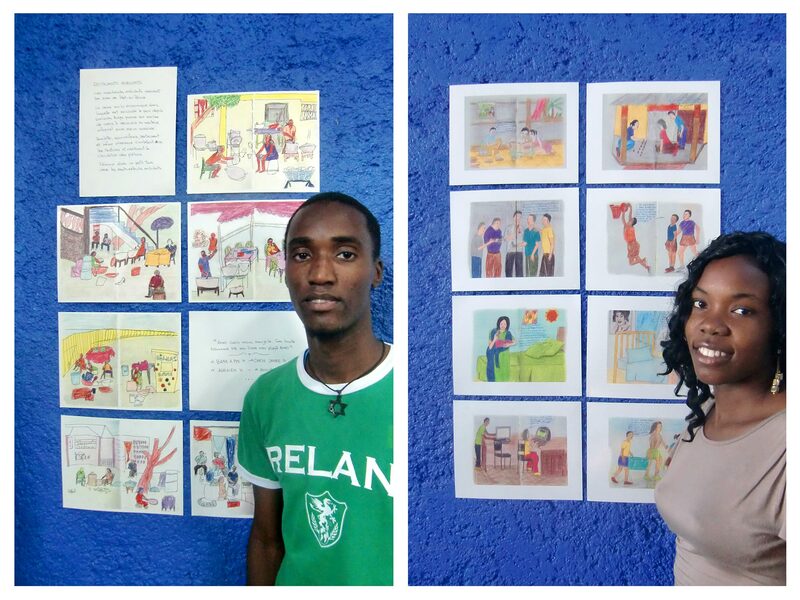 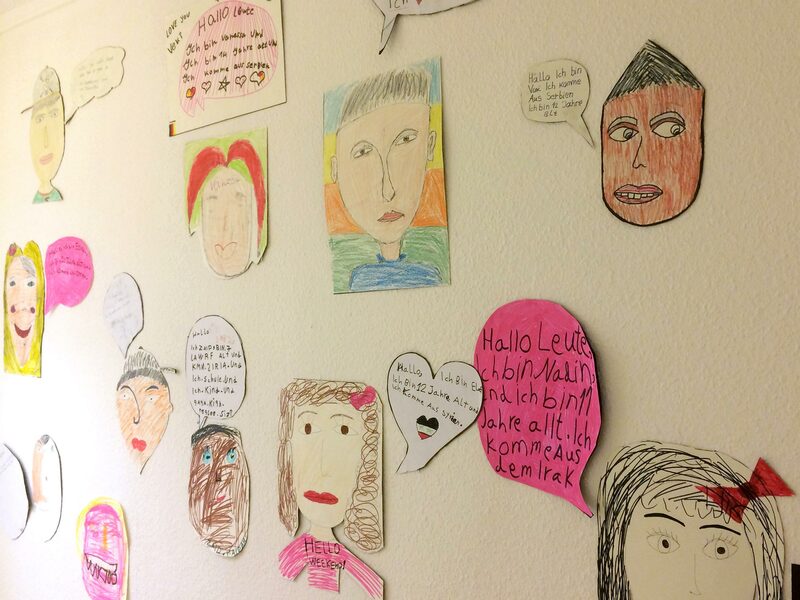 Furthermore we painted the walls of the school and presented our works in a final exhibition. 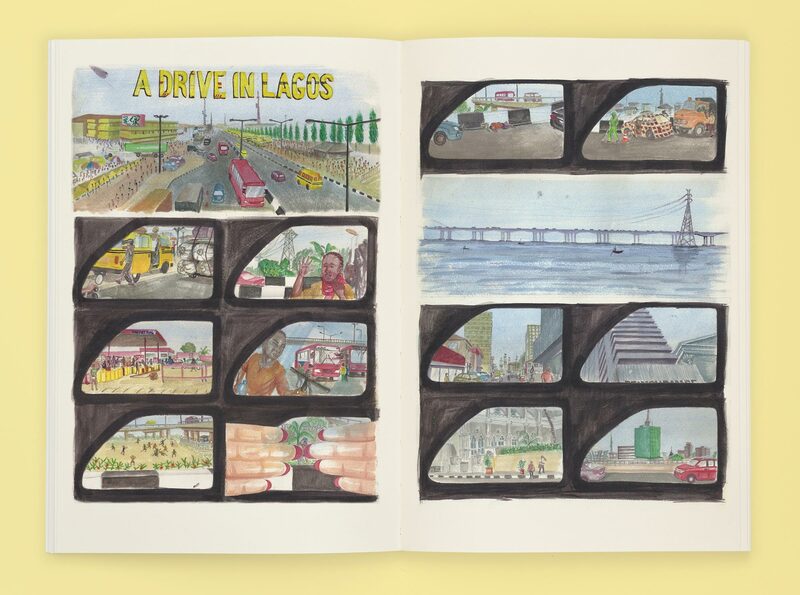 Lagos, Westafrica’s heartbeat. 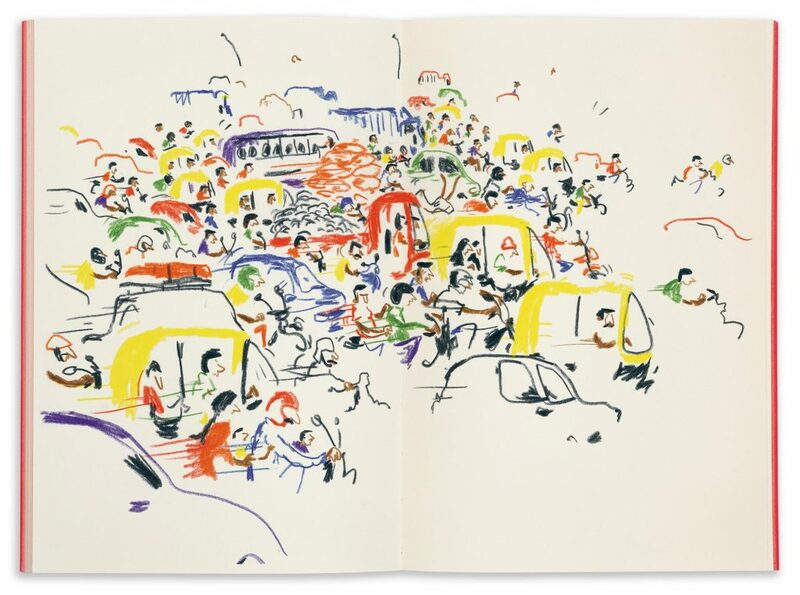 25 million people and their daily hustle-bustle, blazing heat, nerve-wracking traffic, proud market-women, corrupt policemen, new-rich bankers, dodgy area boys, upcoming artists. 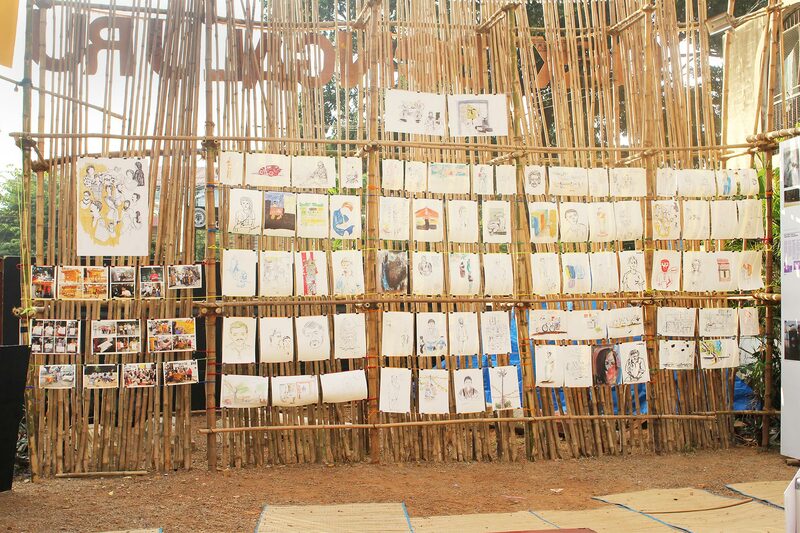 Endless stories to tell. 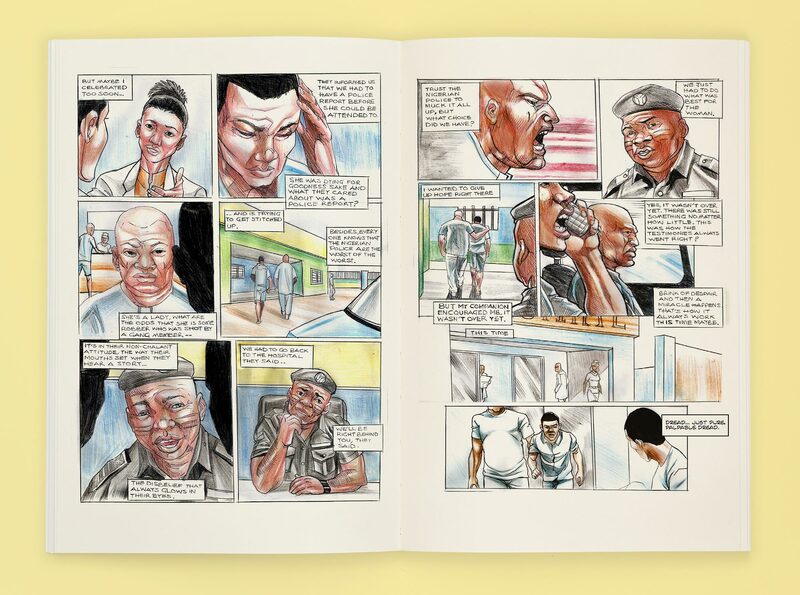 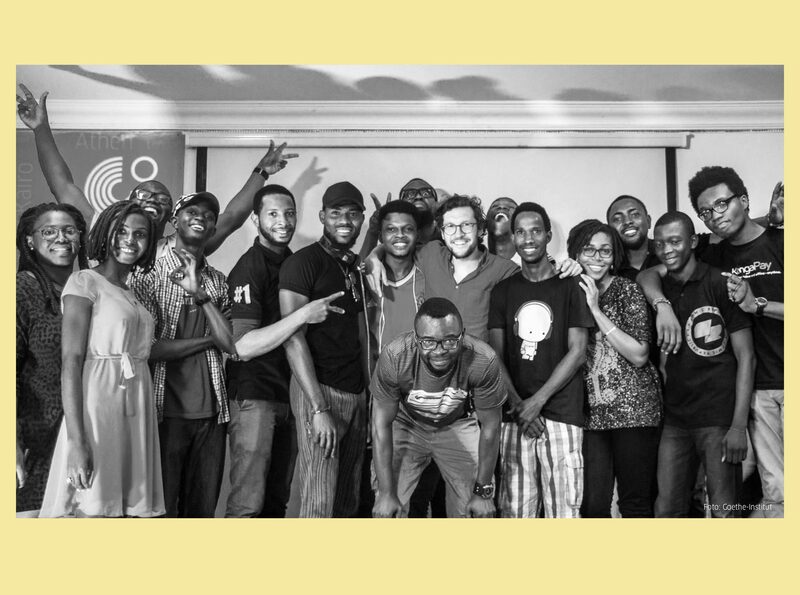 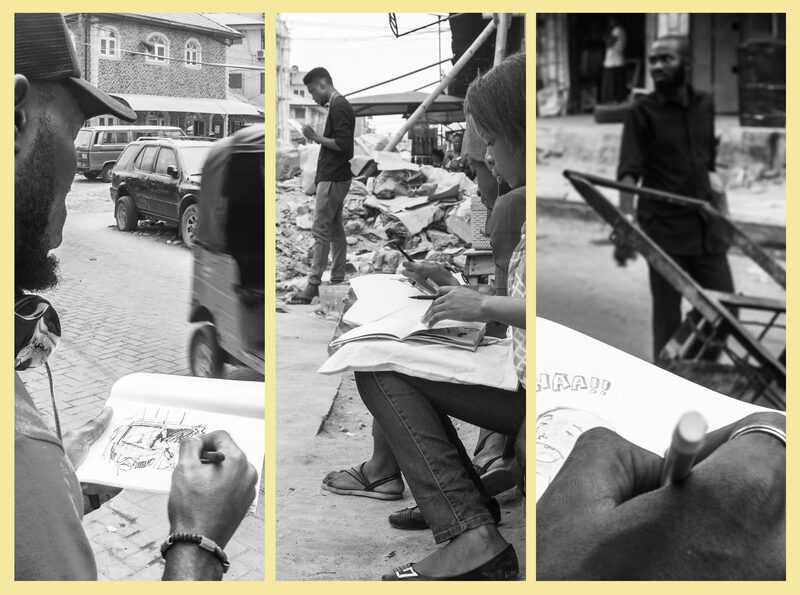 For three months I was supervising a graphic novel project initiated by the Ake Festival and the Goethe Institute Lagos. 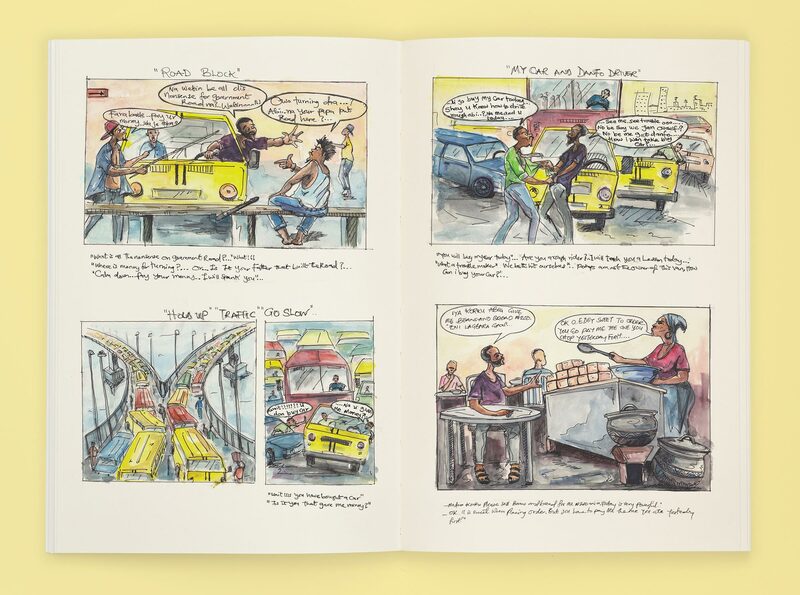 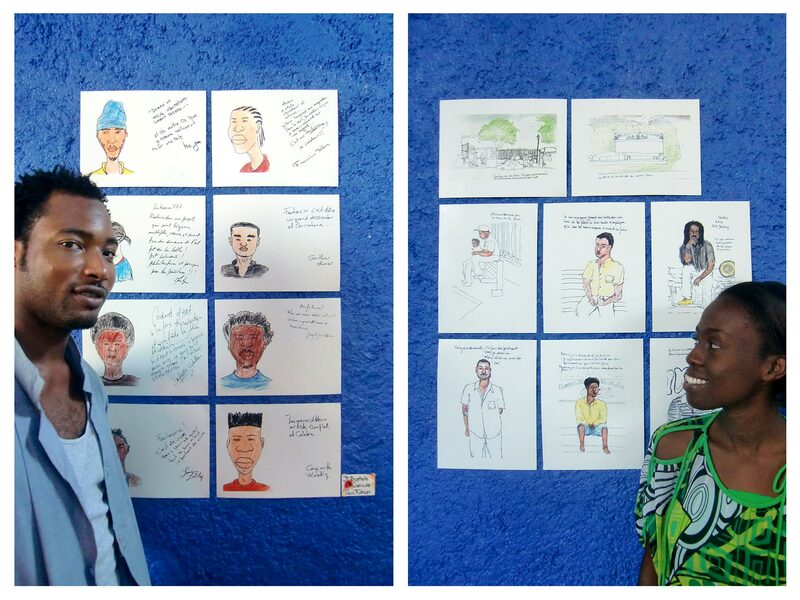 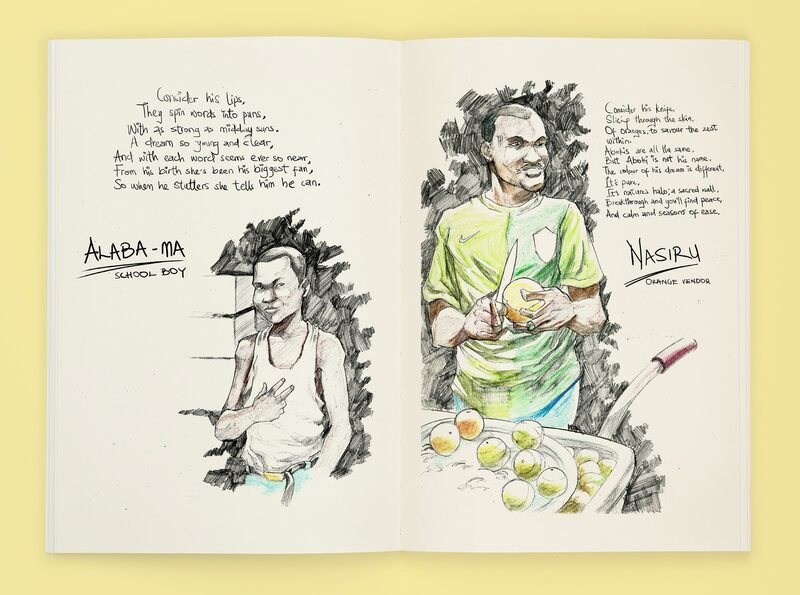 Young Nigerian illustrators were telling their stories from the life in this breathtaking city. 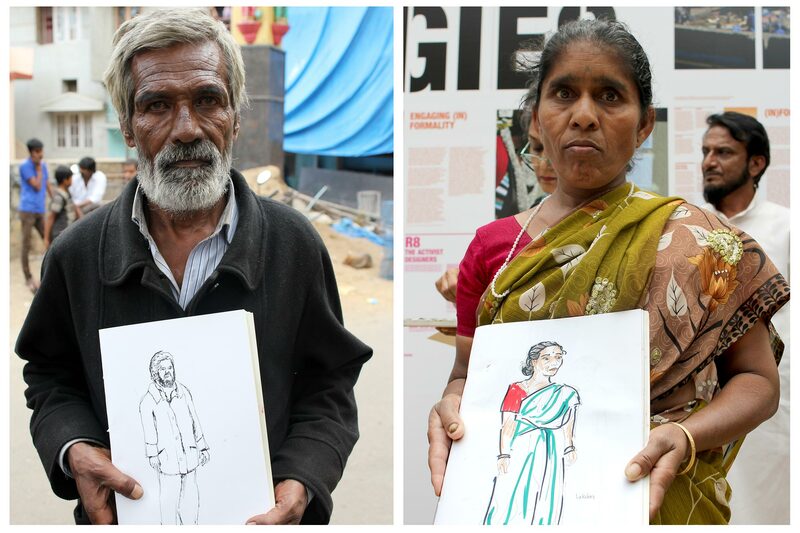 They were developed on the desk or directly in the chaotic crowd of the streets. 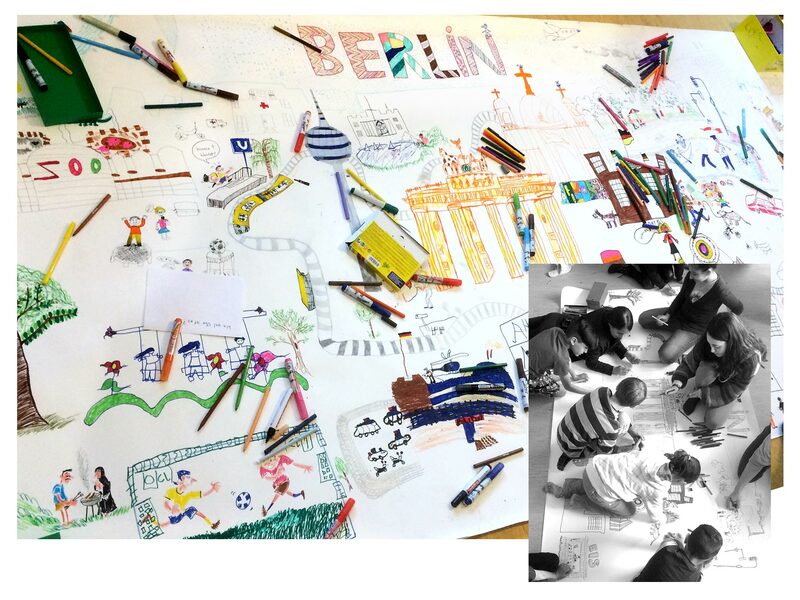 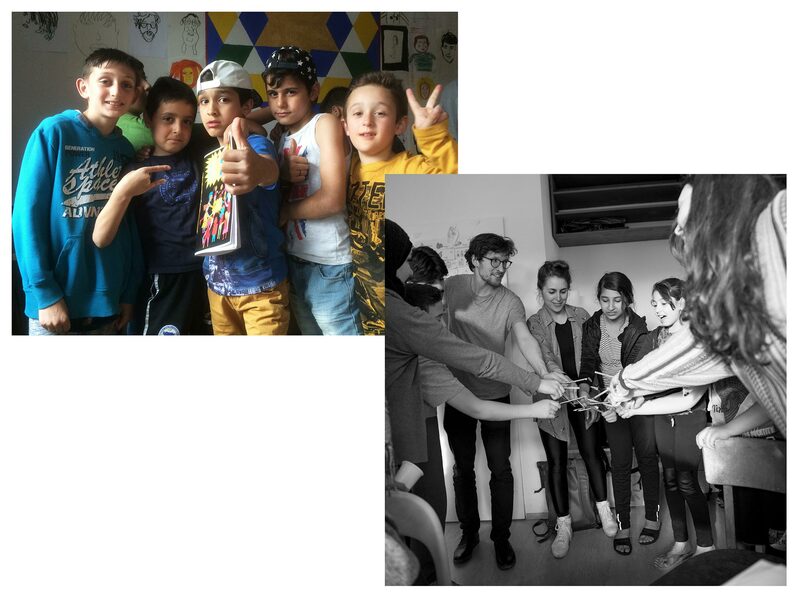 In the course of the big refugee crises in 2016 I was holding different creative workshops in various refugee camps in Berlin. 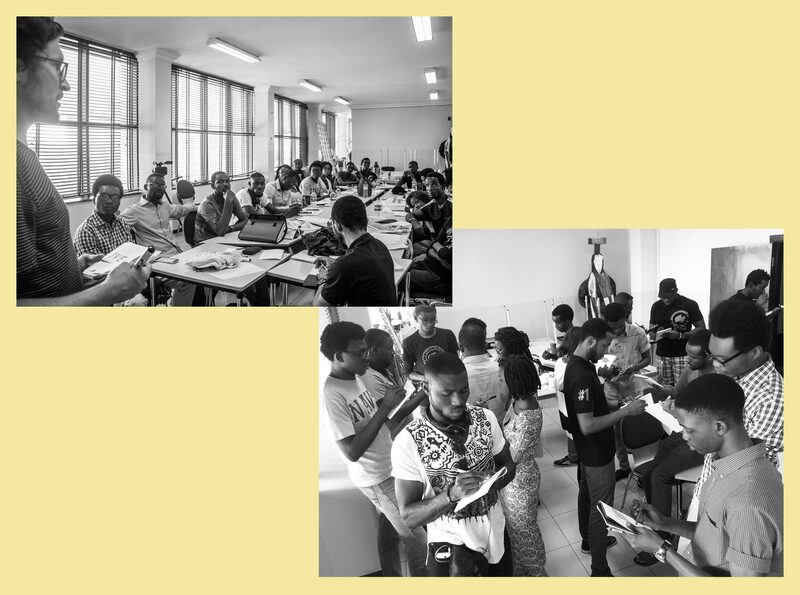 Participants were refugees between 6 and 24 years who came from countries like Syria, Iraq, Afghanistan, Bosnia, Eritrea and Mali. 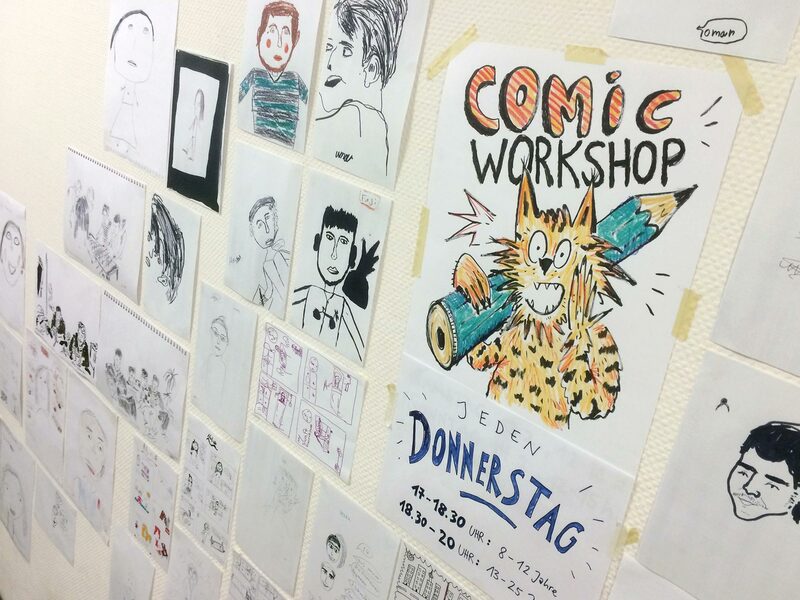 Depending on the age, the workshop topics varied. 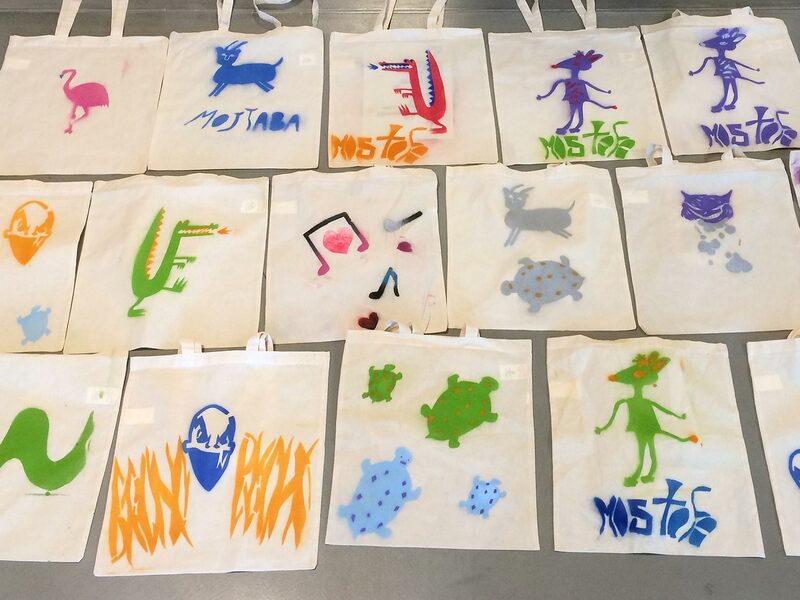 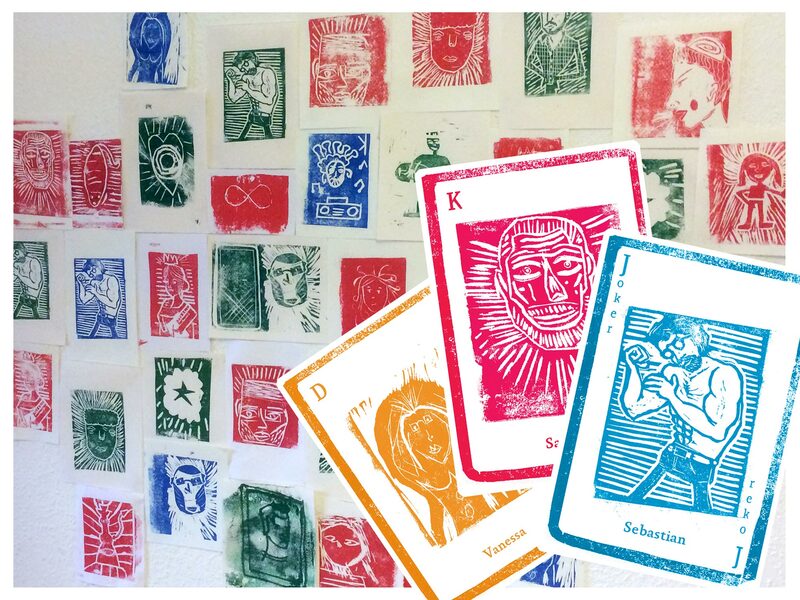 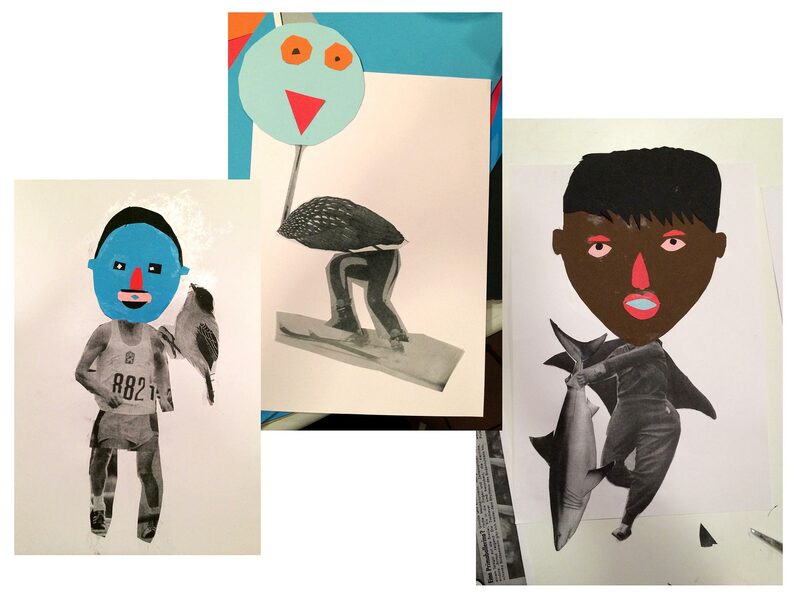 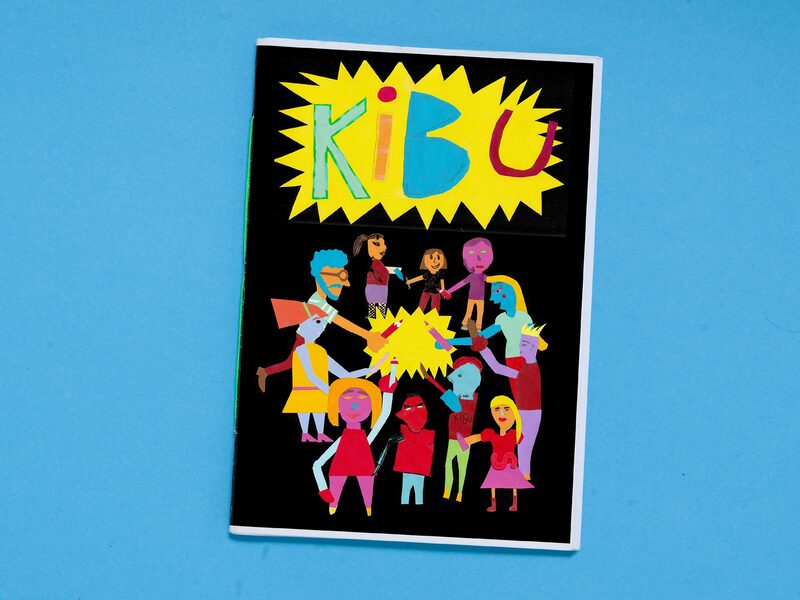 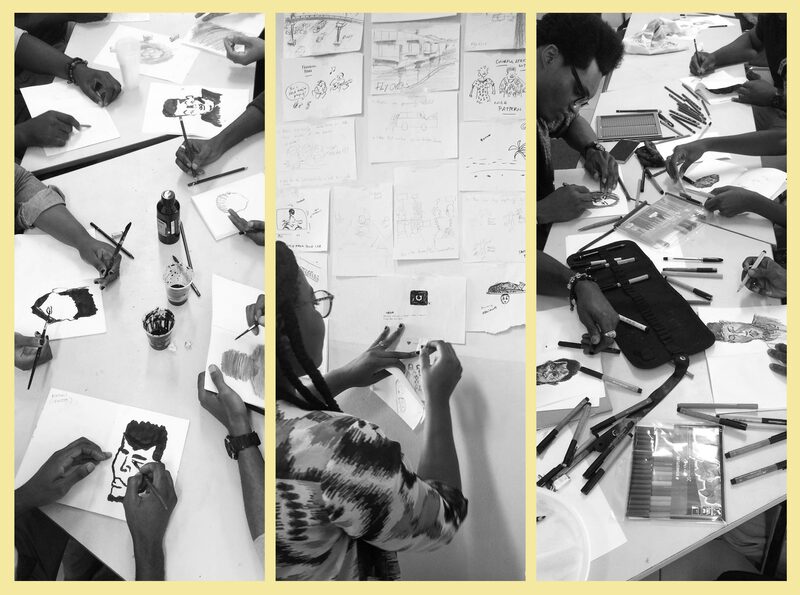 We learned different illustration techniques, were drawing comics and hidden object pictures, created collages and waste robots, sprayed bags, and printed a linocut card game. 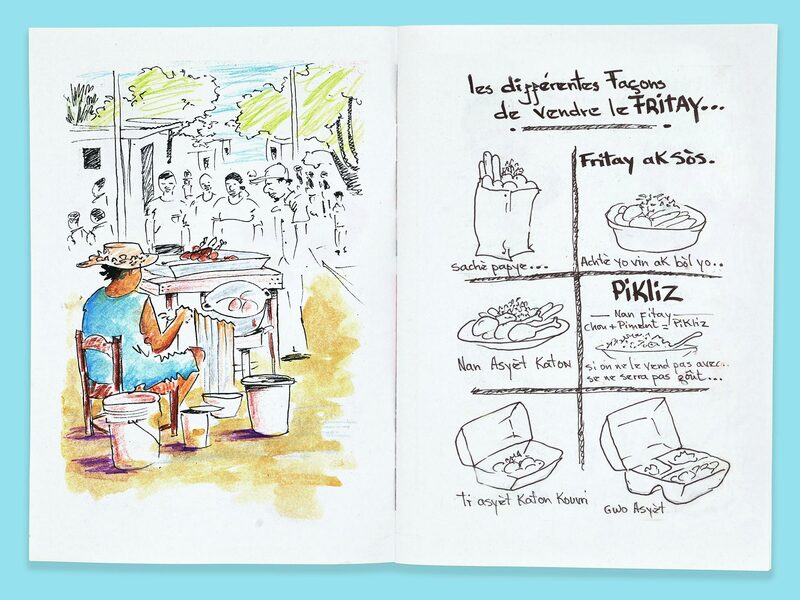 In collaboration with Irene Fernández Arcas. 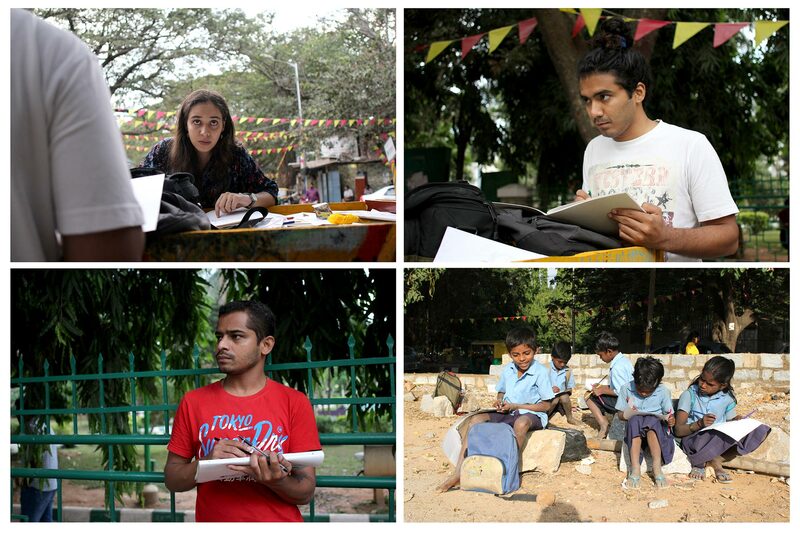 For one week I was organizing open sketching class in Bangalore (India). 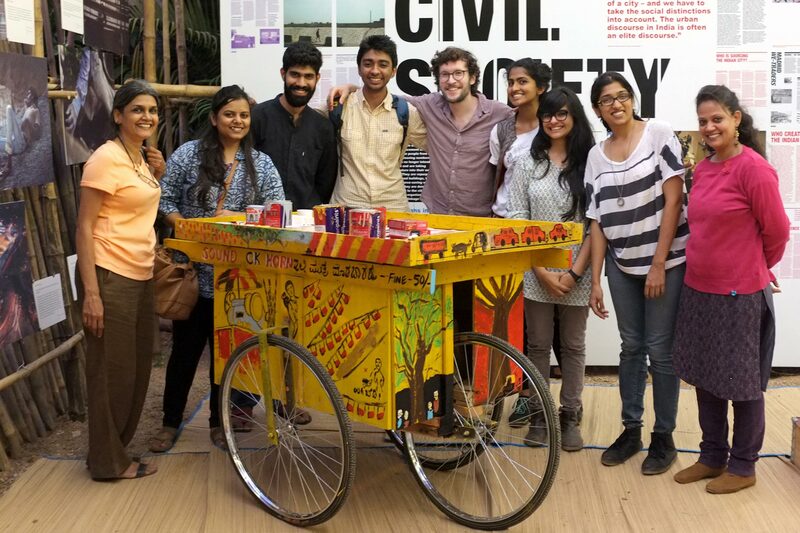 In collaboration with a group of permanent participants I designed a »Sketch Cart«, a wooden cart armed with paper, pencils and colours. 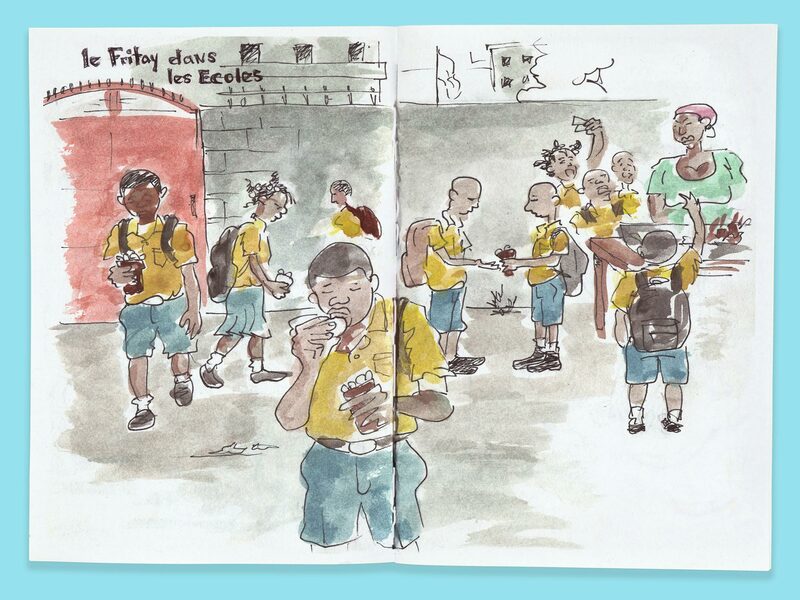 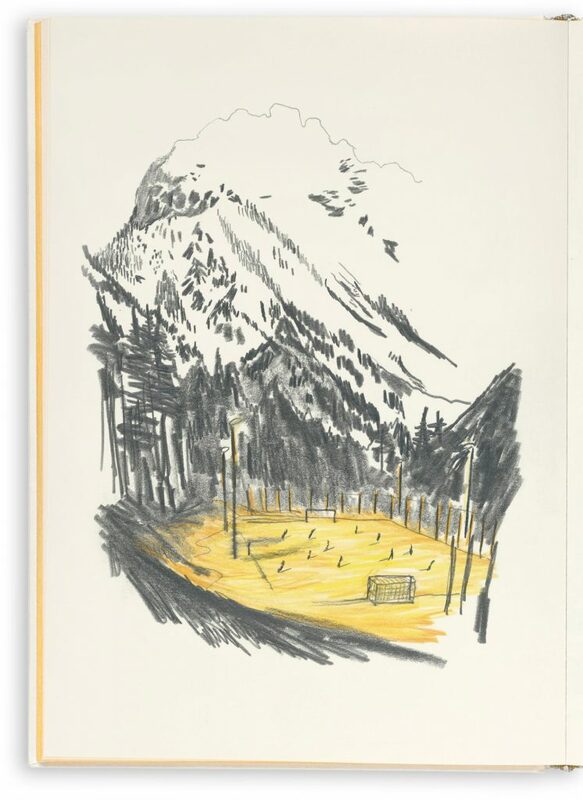 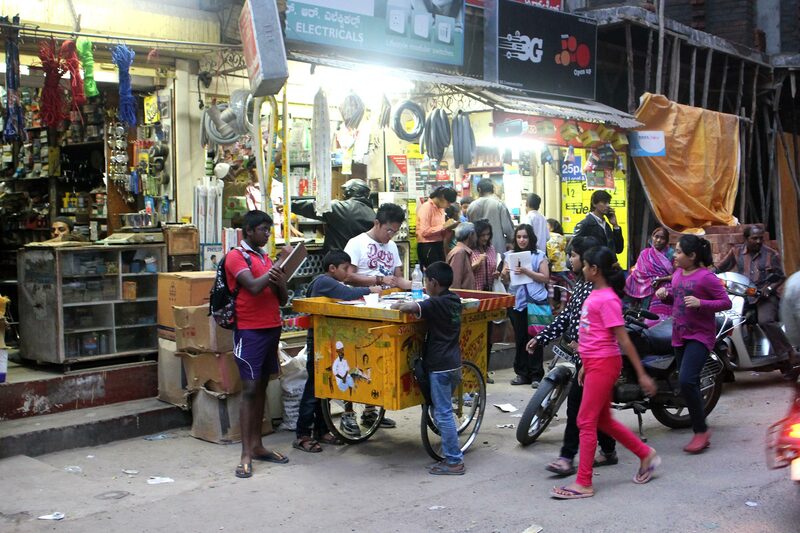 Every day we went out with it to sketch in the streets and encouraged curious people to bind their own sketchbook and participate in the drawing sessions. 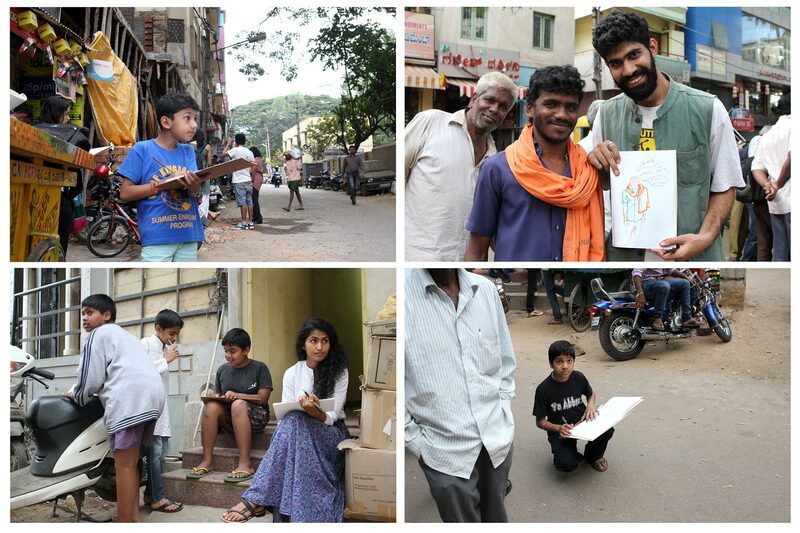 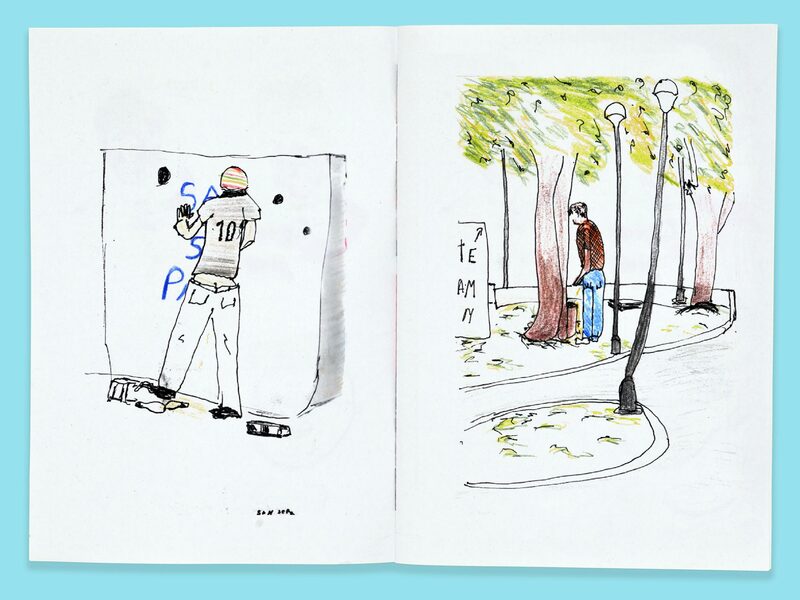 People of all ages and social groups dared to grab a pen and in the end, the whole neighbourhood was sketching. 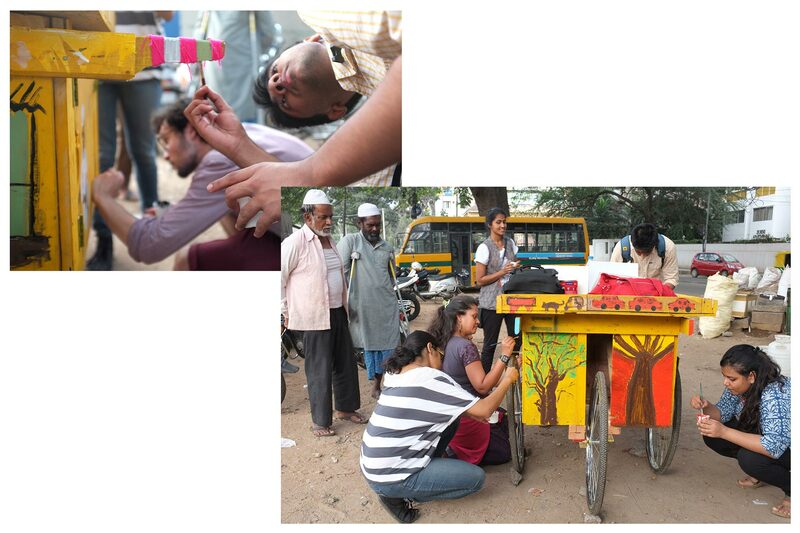 Initiated by MOD Institute and supported by the German Embassy Bangalore. 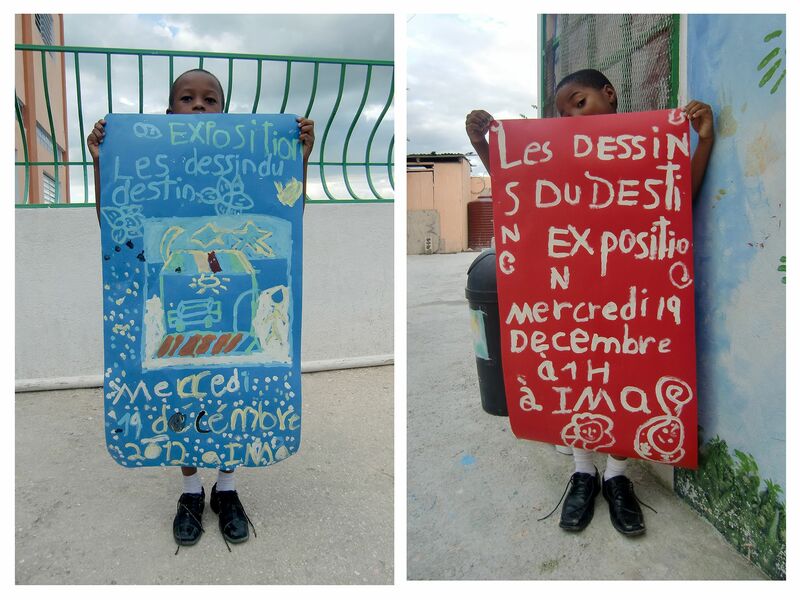 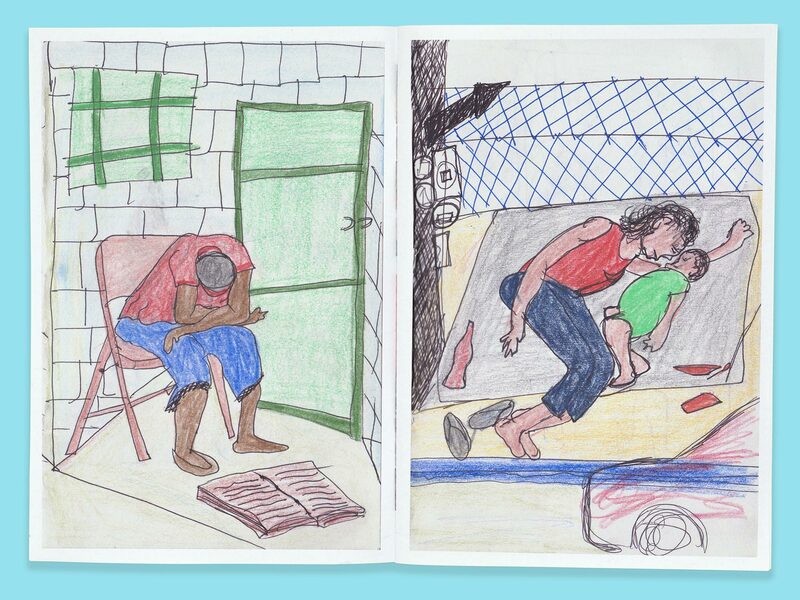 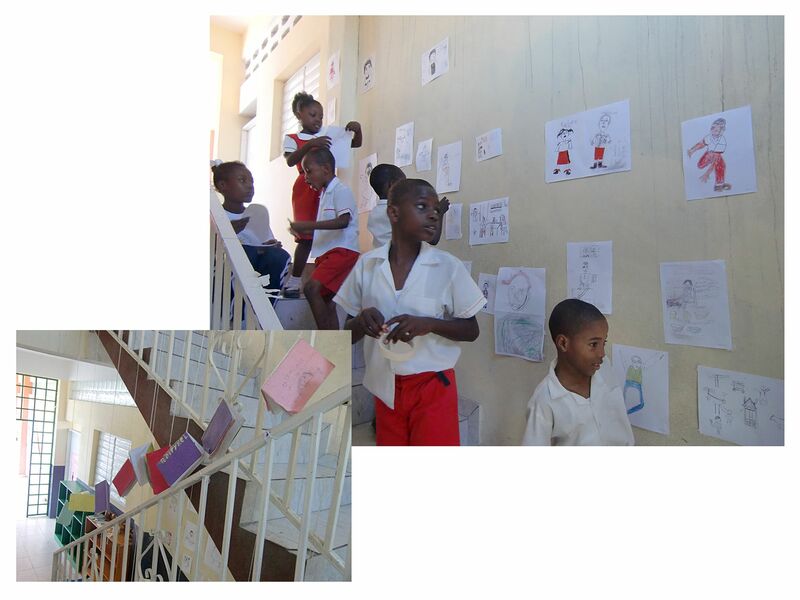 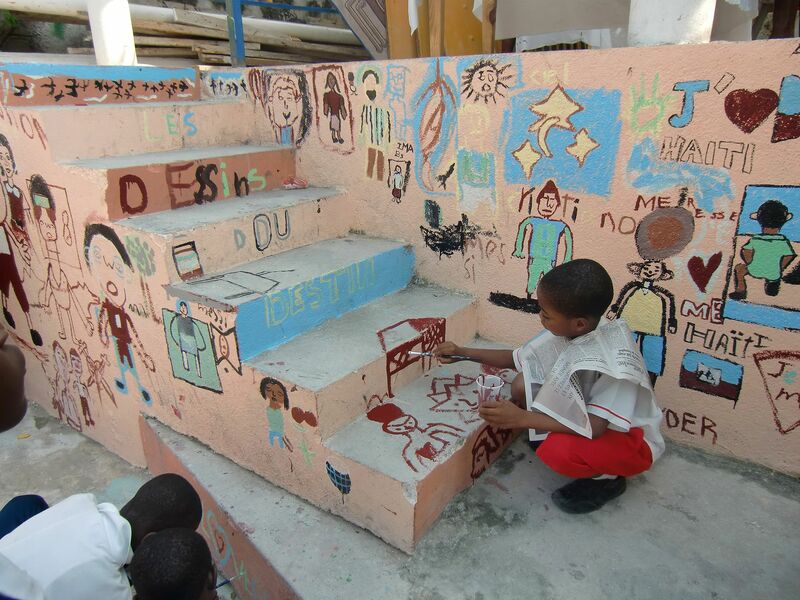 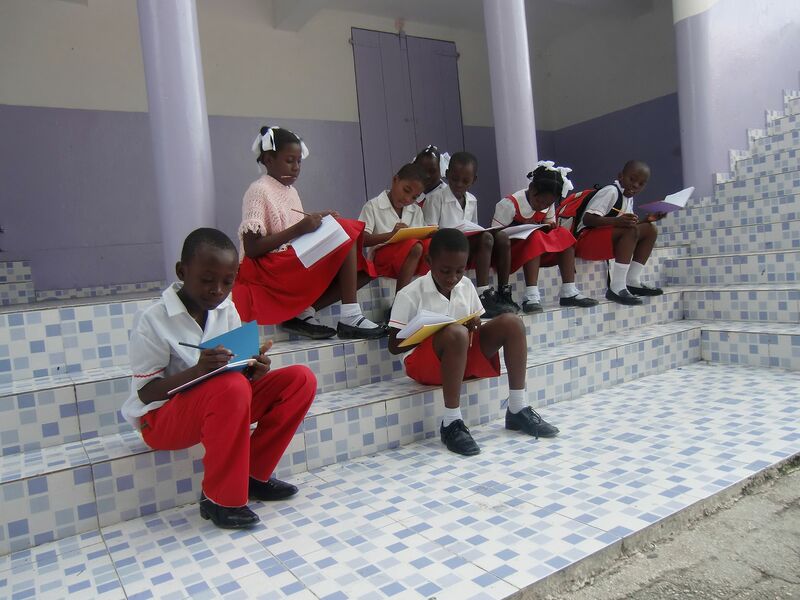 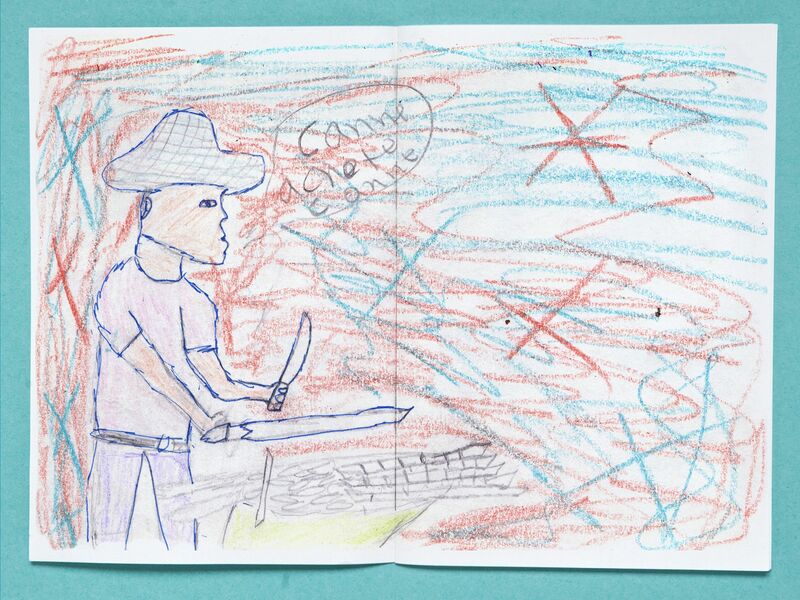 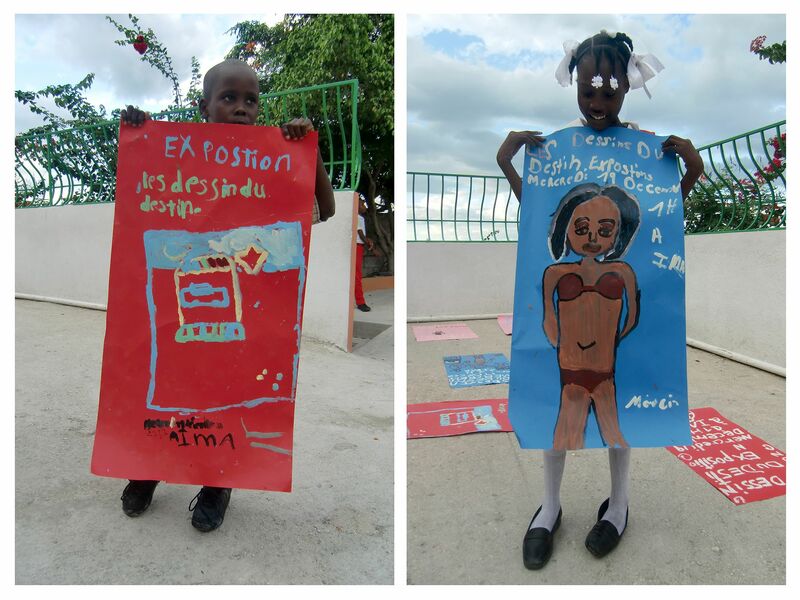 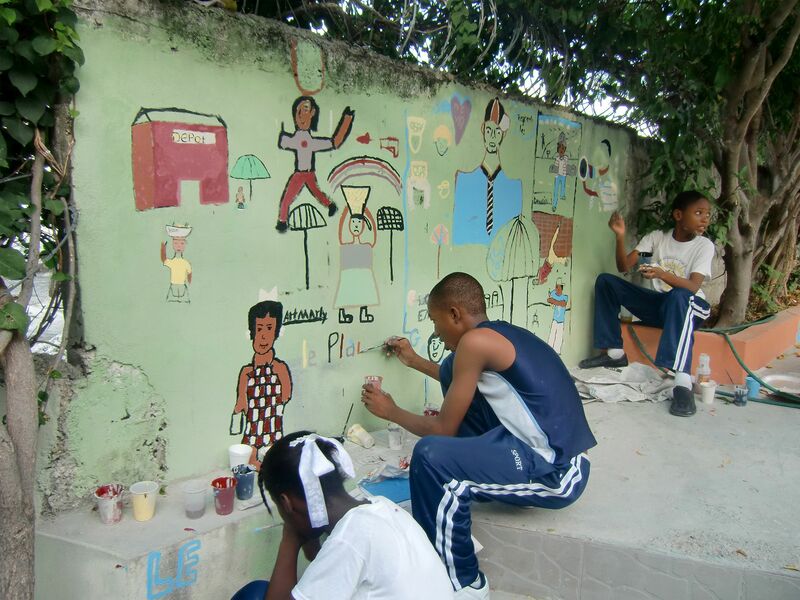 Reportage drawing is a largely unknown medium in Haiti. 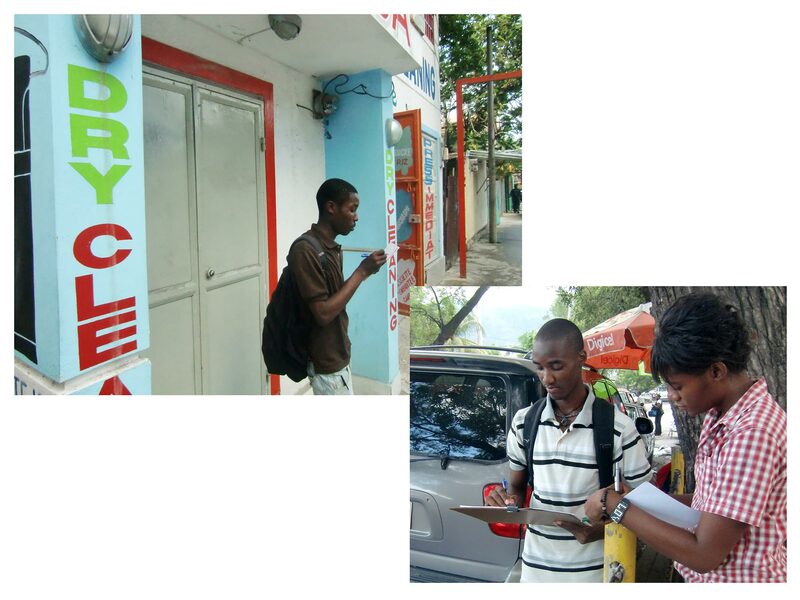 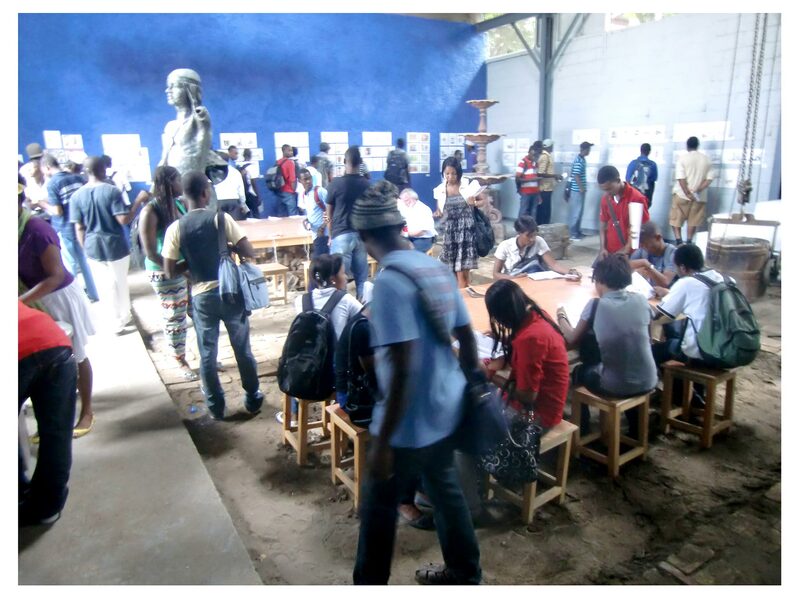 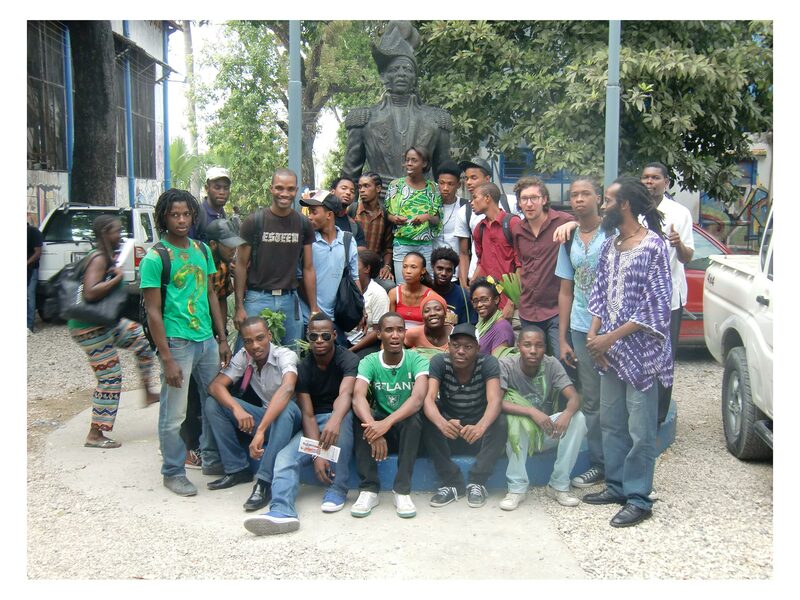 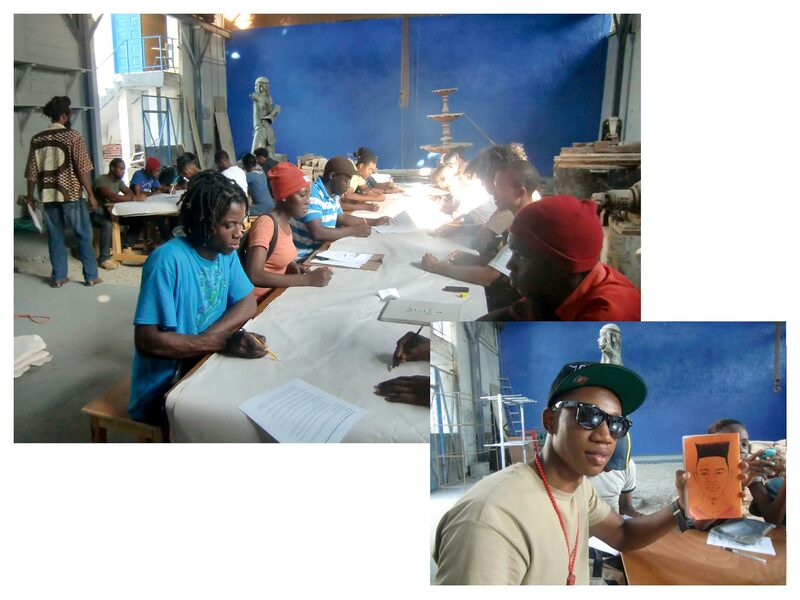 I taught it during a one-semester teaching assignment at ENARTS, the National Art School of Port-au-Prince. 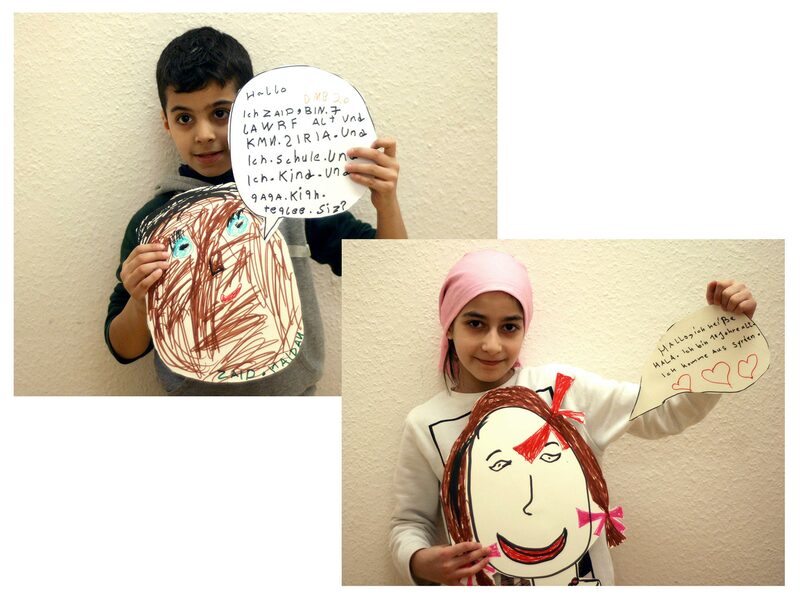 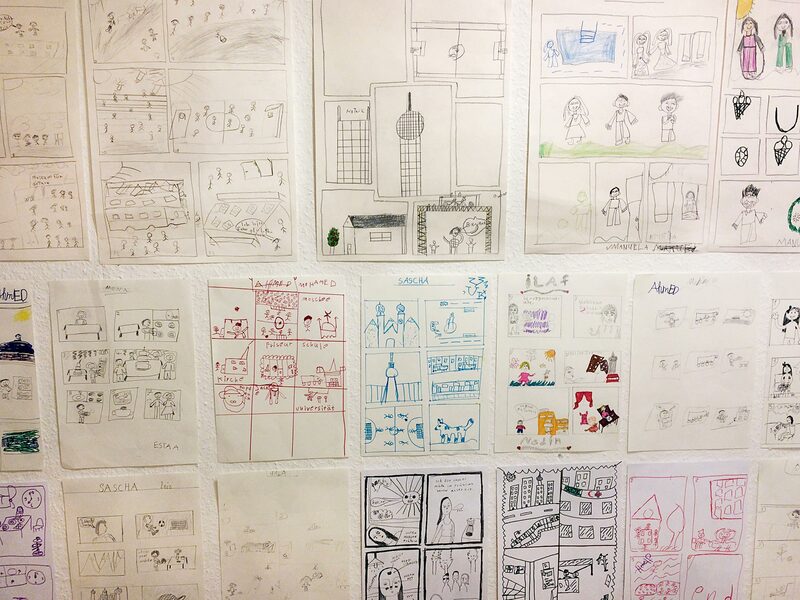 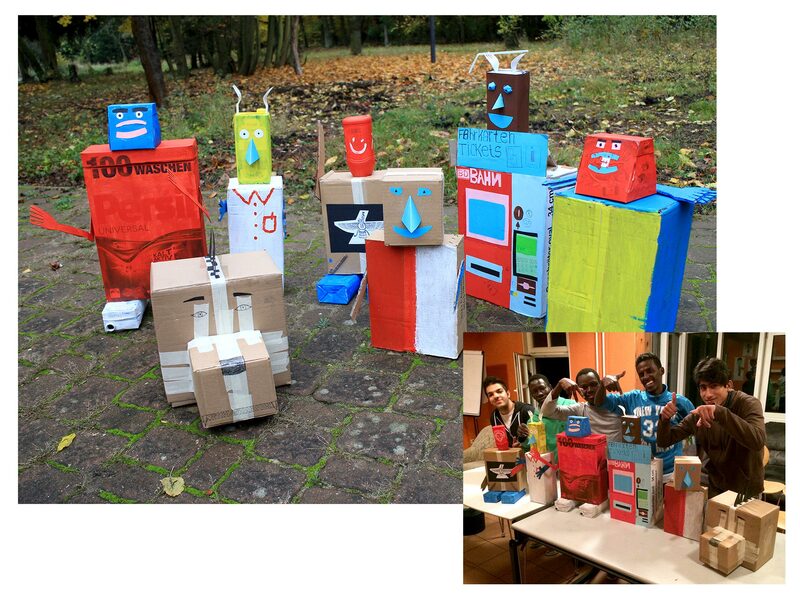 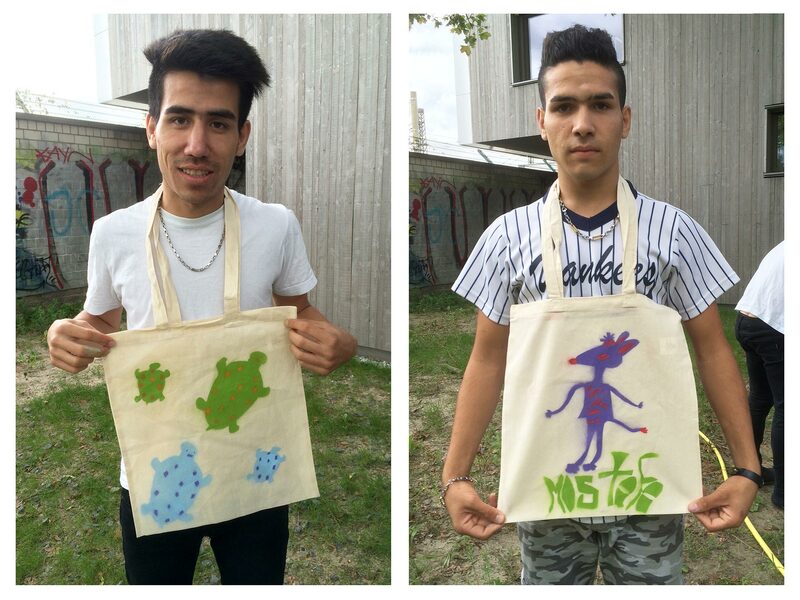 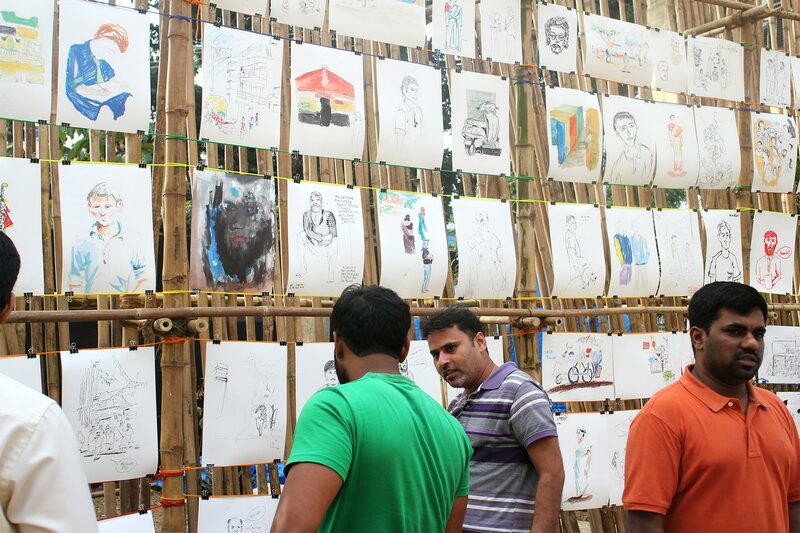 The participants chose themes from their everyday lives and explored them graphically in their neighborhoods. 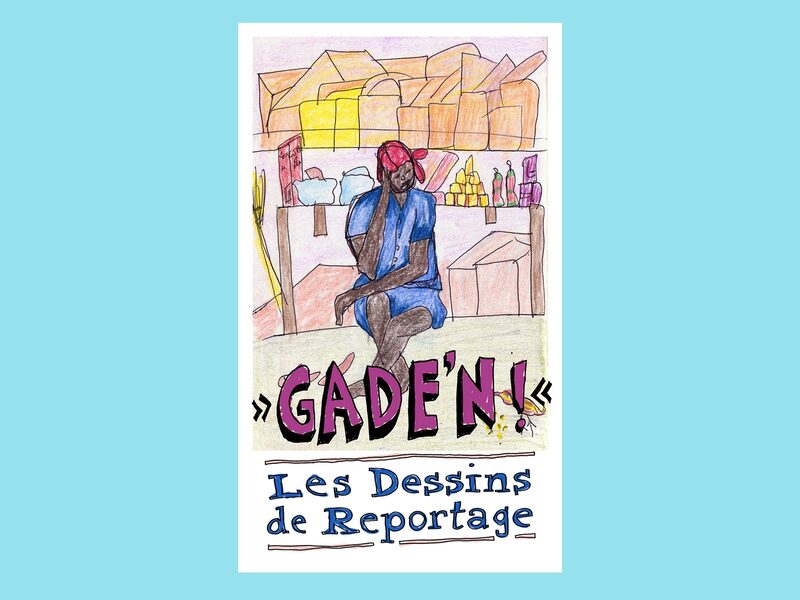 Amongst others, reports about people peeing on the street, the city’s old gingerbread houses, street vendors, homeless people and fried food were originated. 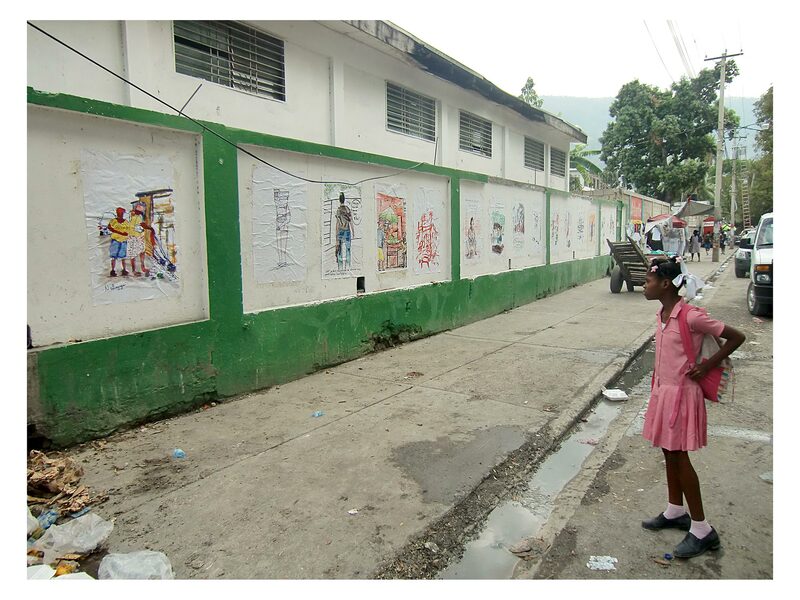 They were shown in a large exhibition and brought back to the streets with posters that were put up all around the art school’s neighborhood. 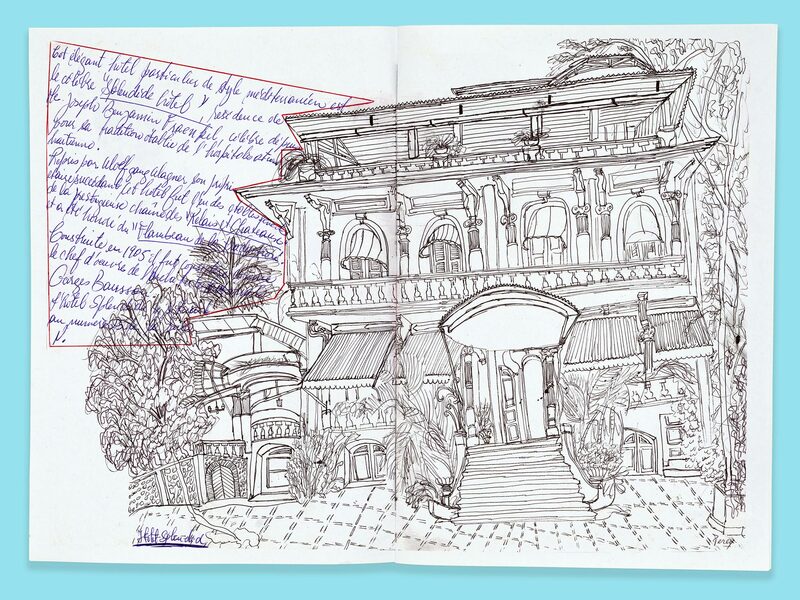 Through new and old times.